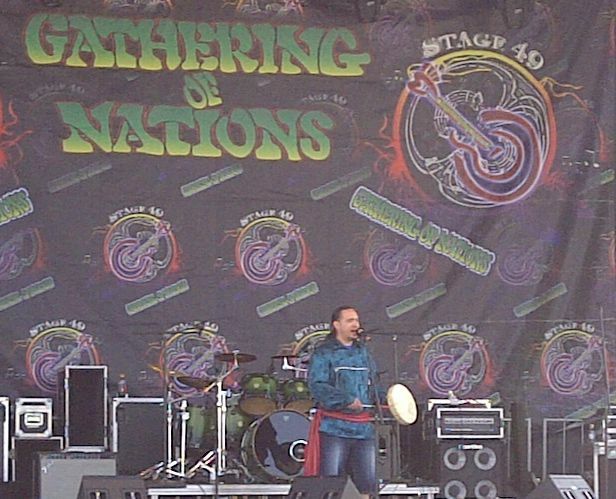 So my weekend in Albuquerque at the Gathering of Nations went by very quickly. I was so happy to see many old friends and to meet some new ones. On my flight from Atlanta to Denver I met a lady who was meeting her friend so that they could watch the Royal Wedding together. She was very sweet and tried to help me out because I had to run to catch my next flight. I hope she and her friend had a wonderful weekend. About 10 years ago I heard Bird Singing for the first time and I have loved it ever since. 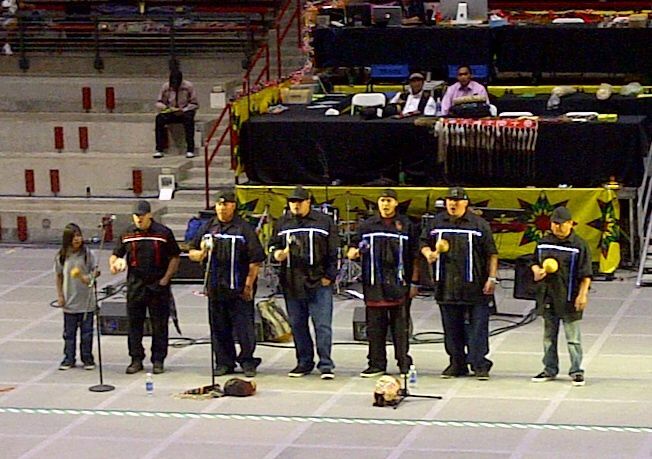 This group pictured above is from the Pala Reservation in Southern California. 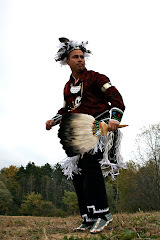 Adrian was the singer for the Miss Indian World smoke dance special. 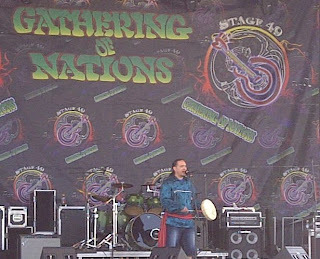 He also sang for the group of students from OM Smith school here at Six Nations that did performances at different Pueblos in New Mexico in the week leading up to the Gathering. 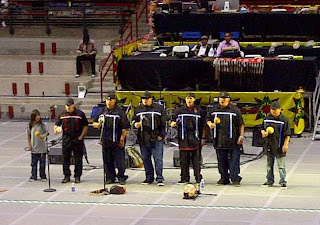 On Saturday they performed out on Stage 49. I was completely annoyed because during their last song, the next band started doing their soundcheck! That is just the ultimate in rudeness if you ask me. 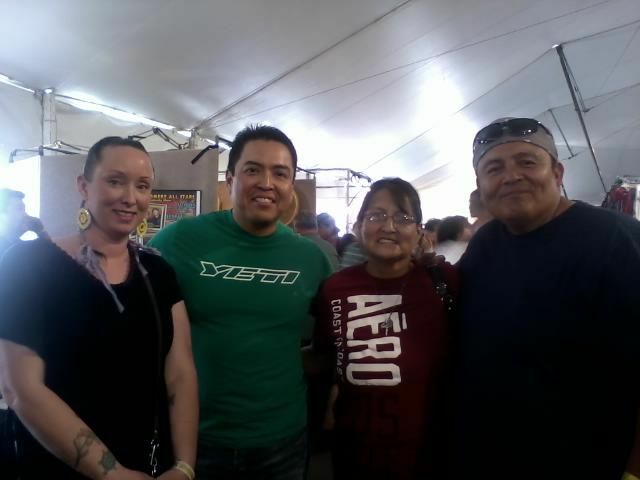 My friend Regina and I were wandering through the vendors tent and the comedy duo of James & Ernie were there as well. They were gracious enough to take pictures with people. I left for home on Sunday but before I did I stopped by the Indian Pueblo Cultural Centre. There was a lot going on and I am so glad I went. 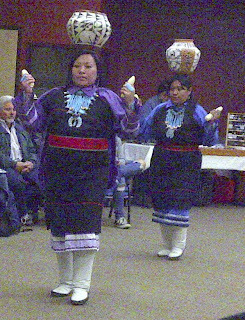 I was able to check out a Zuni dance group that were fantastic. 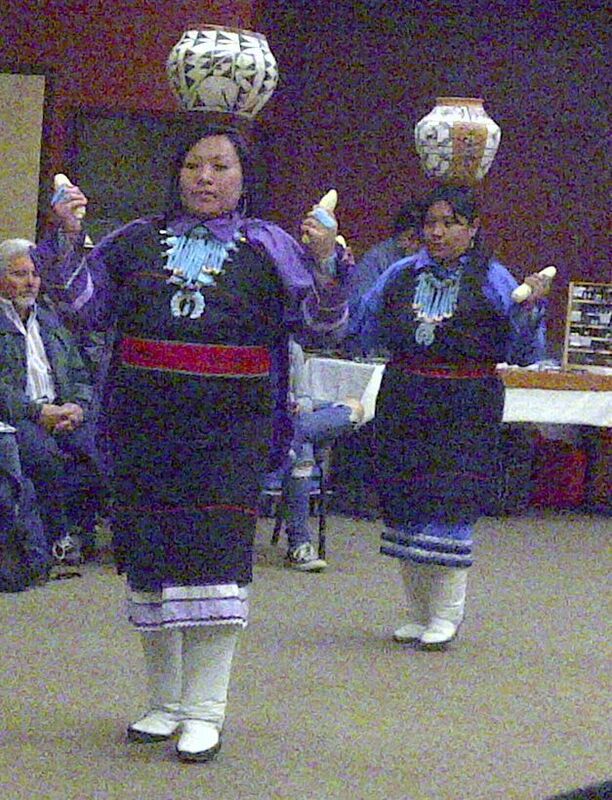 Above the ladies are doing a pottery dance. 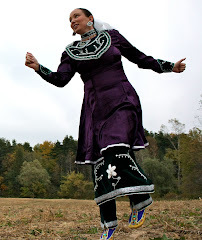 There are only 15 women left in their community that can still do that dance. I truly enjoyed listening to the Speaker for their group. 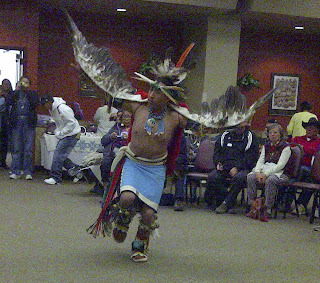 The men did a few animal dances and above is the Eagle Dance. I apologize for the clarity of these pictures but I had to take them on my phone as I didn't have room to bring my real camera. 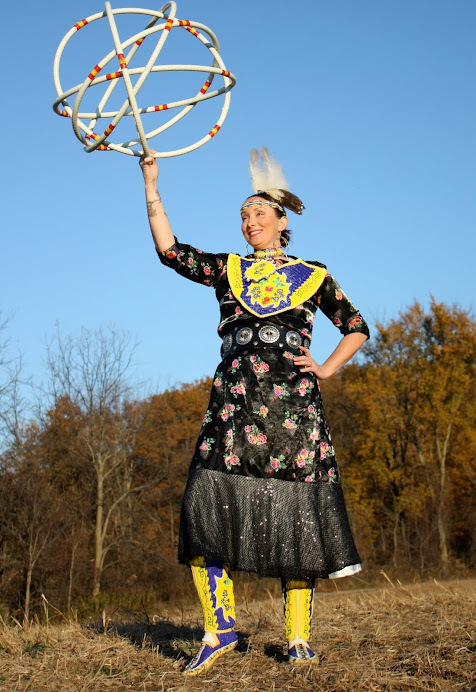 After I went through the museum there was another group outside doing Apache Crown dancing. These guys are tough because they are shirtless and it was snowing. Oh and they dance through the fire too. Daaannnng. When the kids danced before the crowning, the cheers they got made me get a little teary eyed. I was so proud of them.